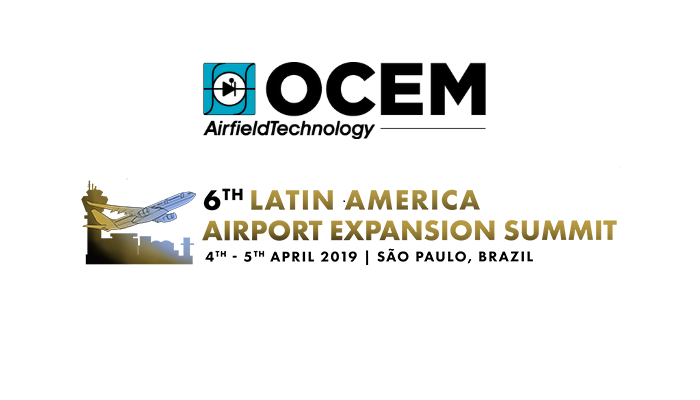 OCEM Airfield Technology is pleased to confirm its attendance at the 6th Latin America Airport Expansion Summit, which is taking place in São Paulo, Brazil, on April 4 and 5. OCEM has been providing lights and power supplies to airports since the early days of the global aviation industry. Our strong presence in Latin America makes us a reliable partner and supplier. Visit our stand and discover for yourself OCEM’s cutting edge products and services! We look forward to showing you our successful case studies and offering customized solutions based on your needs. Our world-wide products and services portfolio is ready and waiting for you!